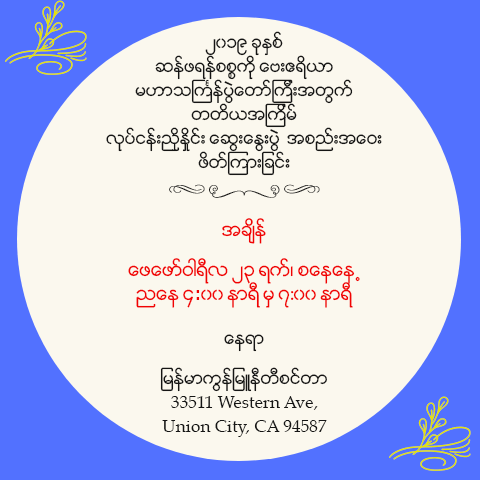 Myanmar Community and Cultural Center Committee (MCCCC) cordially invites you to the 8th Annual Bay Area Myanmar New Year Thingyan Water Festival on May 26, 2016 which will be held at Kennedy Park in Union City, California. The Thingyan Water Festival is celebrated by all major ethnic and religious groups in Myanmar and marks the start of the Myanmar New Year which occurs in mid-April. Water is symbolic for washing away past sins to start the New Year physically and spiritually purified. 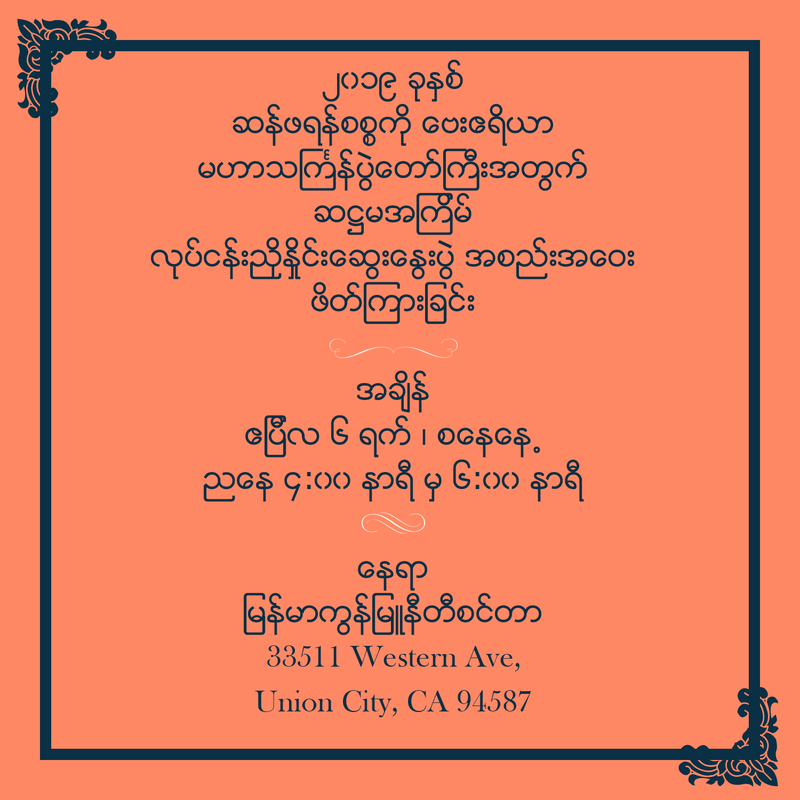 The Bay Area Thingyan promotes cultural diversity and is essential for strengthening community values in the San Francisco Bay Area through the development of intercultural awareness. 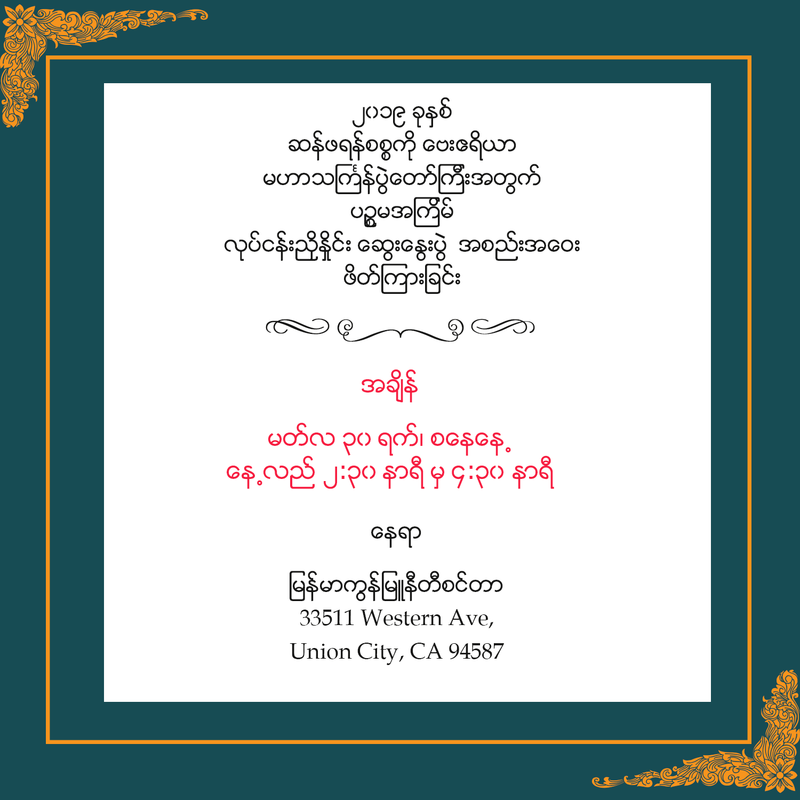 Activities will include sprinkling of water, traditional culture thingyan dance, elderly homage ceremony, and water festival music entertainment as well as traditional food. 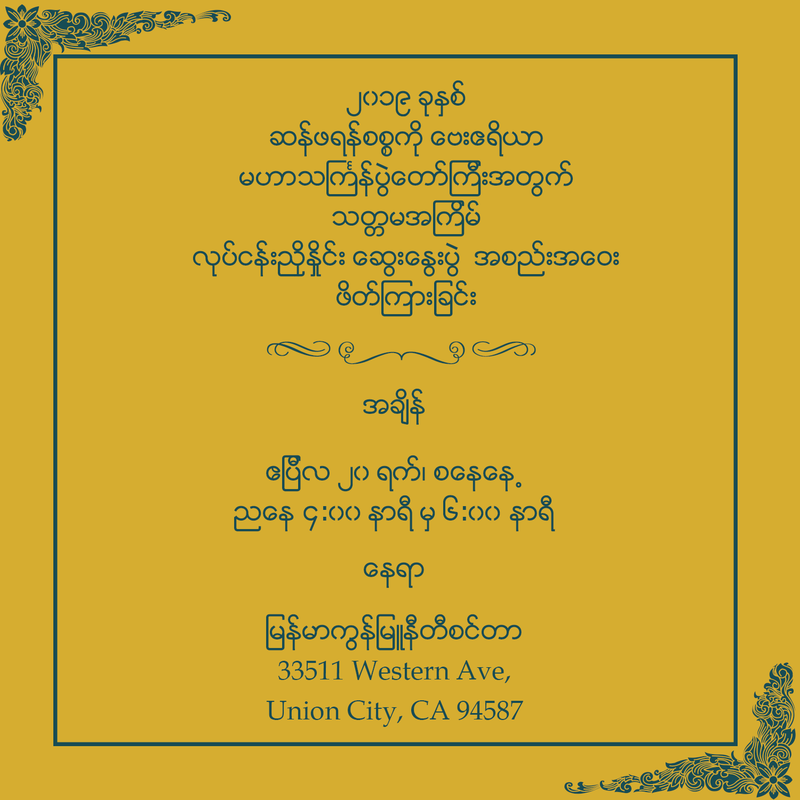 We sincerely hope you will join us as we celebrate our New Year and become a partner with our community. 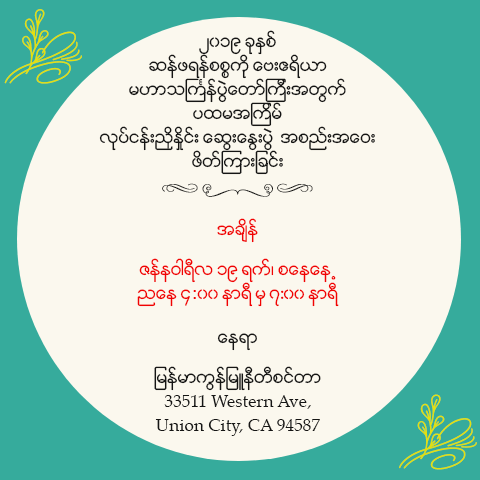 Looking forward to welcoming you on the day of the event. If you would like to sponsor the event, we provide 5 levels of sponsorship packages. View the package details or the summary below. * Advertisement materials must be received by May 10th to guarantee inclusion in event booklet. Free parking @ Union City BART Station. Walking distance from the BART Station.